Do you want to realize a new project in Flanders? Continue an existing project? Develop novel products or services? 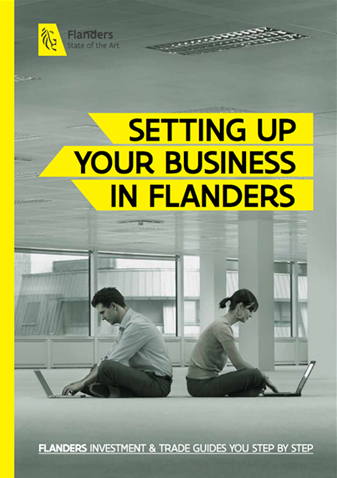 In Flanders, you have a number of financing opportunities at your disposal to help you get off the ground. Using your own funds to start up is quick, easy, and could lead to external investments. Government tax support is available for self-funded startups in the form of Notional Interest Deduction. Learn more about the advantages of self-funding in Flanders. A powerful way to offset operational or financial income to lower a company's effective tax rate in Flanders is Notional Interest Deduction. This deduction comes with additional benefits for current investors in Belgium. Discover the benefits of Notional Interest Deduction in Flanders. Foreign companies established in Flanders also gain access to various European funding programs, like Horizon 2020. Discover more about European funding. A great place to look for investments needed to fund your start up is among the supportive people in your environment. It's not just a practical way to find money; it's also backed by the government. Learn more about involving your family, friends and fans in your start-up. This type of loan is available to SMEs with the goal of making it easier for them to find start-up capital. Lenders can be individuals living in Flanders, who can benefit from tax discounts for participating in the loan framework. Find out how the WIN-WIN loan can benefit your start-up. Crowdfunding is a bold new way of finding capital online that is rapidly gaining popularity. Start-up entrepreneurs pitch their idea and potential investors commit certain funding amounts, often receiving perks from entrepreneurs in return. Discover different crowdfunding initiatives available to start-ups in Flanders. Many banks in Flanders offer government support to start-ups, which are awarded to companies in several forms with different requirements. Such programs include Starteo, Optimeo, Impulsekredieten, guarantee schemes and GIGARANT. Get details about bank-sponsored financing options for start-ups in Flanders. Non-bank financing is available to companies in the form of leasing, or guarantee schemes with guarantee amounts of up to EUR 1,500,000. Guarantee-holders must sign an agreement with Waarborgbeheer nv to participate. Learn about non-bank financing options available to companies in Flanders. Venture capital is mainly for businesses that can show clearly that they have quite a bit of growth potential, as this type of funding depends on venture capitalists' calculation of their returns on investment. It comes in several forms, and there are three kinds of venture capitalists: public, private and business angels. Explore different options for funding through venture capital. Suitable for established companies, mezzanine financing is a mix of debt and equity financing. The government of Flanders offers two types of mezzanine financing; one for small enterprises, and another for rapid-growth, extremely innovative companies. Find out if mezzanine financing is a good fit for your established company in Flanders.